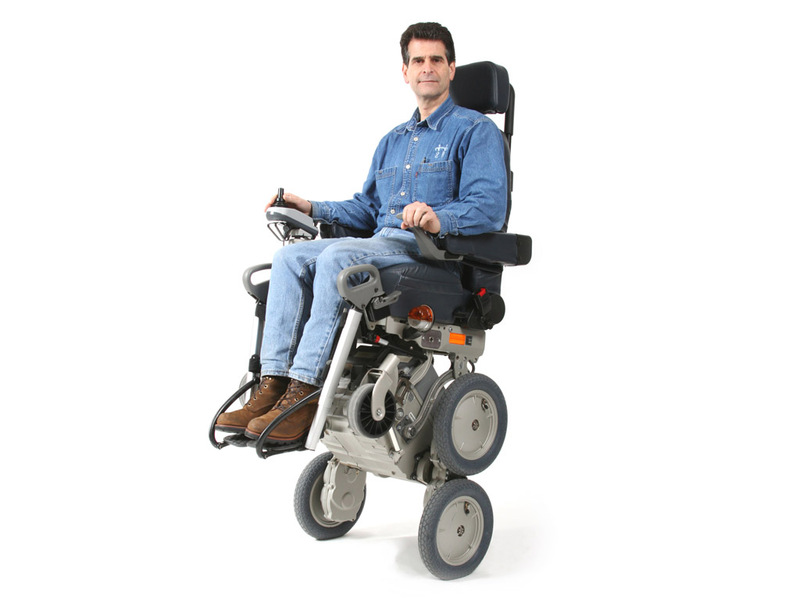 The iBot is an advanced robotic wheelchair. It allows users to get up curbs and go up and down stairs. 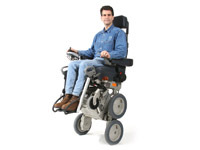 It can also raise its seat so the user can reach higher spots or talk at eye level with a standing person. Inventor Dean Kamen demos the iBot. Photo: DEKA Research and Development Corp. 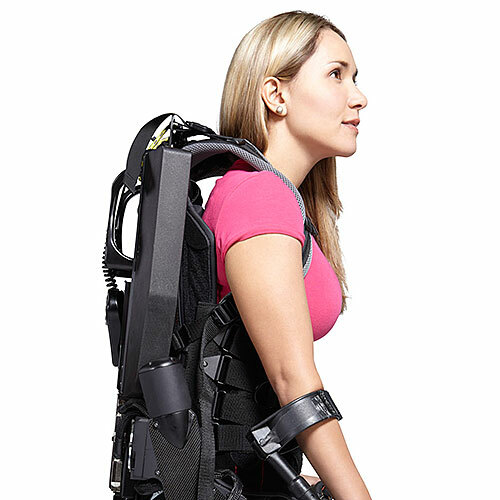 The iBot can self-balance and climb stairs. 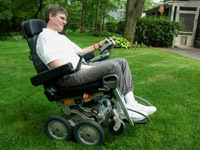 A user drives his iBot at home in 2006. 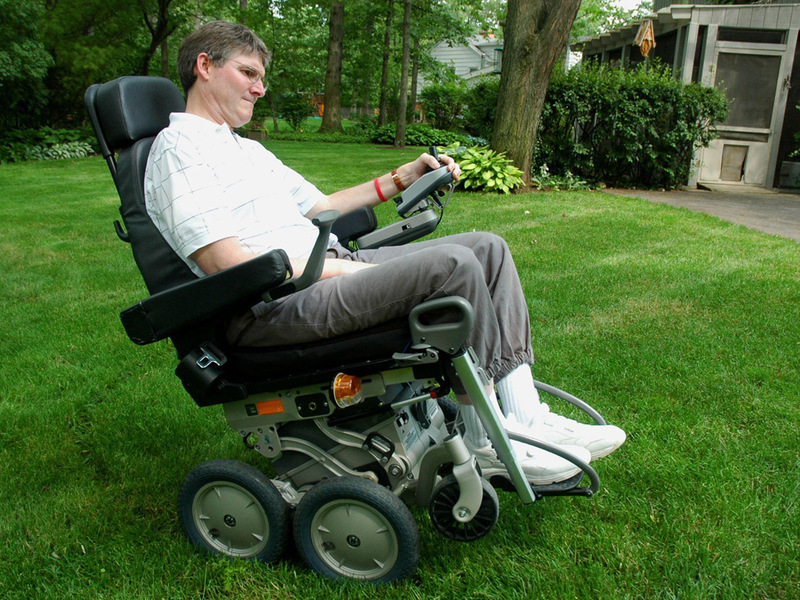 A user demonstrates his iBot in raised position. 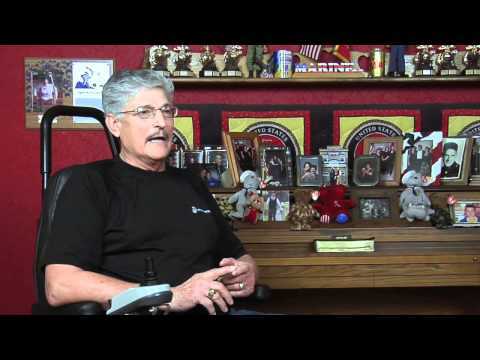 iBot featured on TV commercial. 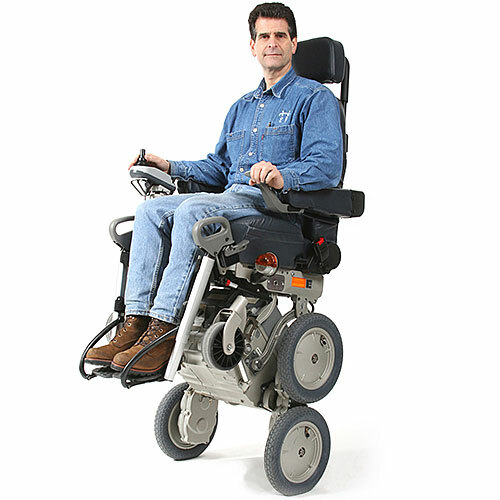 Dean Kamen, founder of DEKA Research, invented the iBot after seeing a man in a wheelchair struggling to go up a curb to enter a mall. 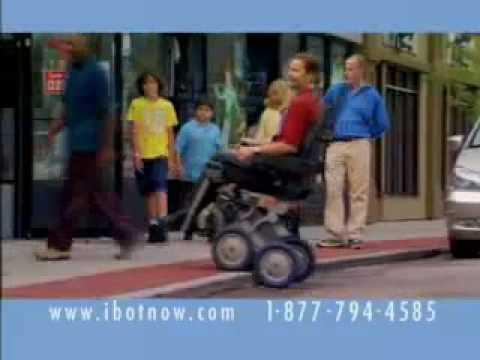 The iBot was a precursor to Dean Kamen's famous Segway human transporter. 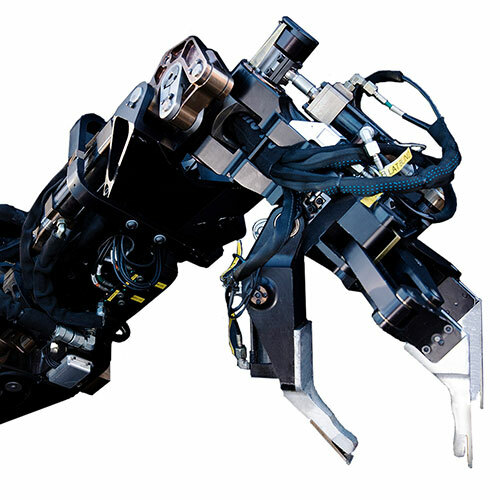 During development, the iBot's code name was Fred Upstairs, after Fred Astaire, because it was agile and capable of climbing stairs. 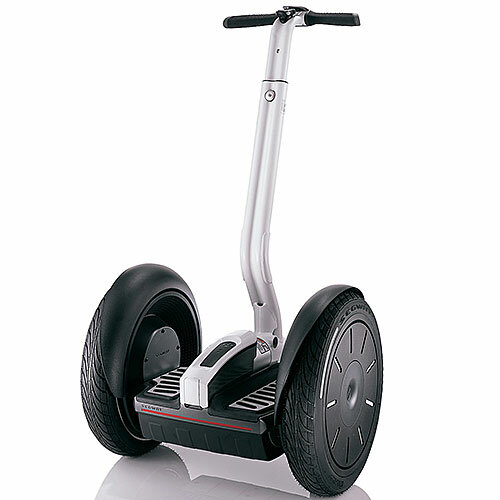 Capable of driving on grass, sand, and uneven terrain. 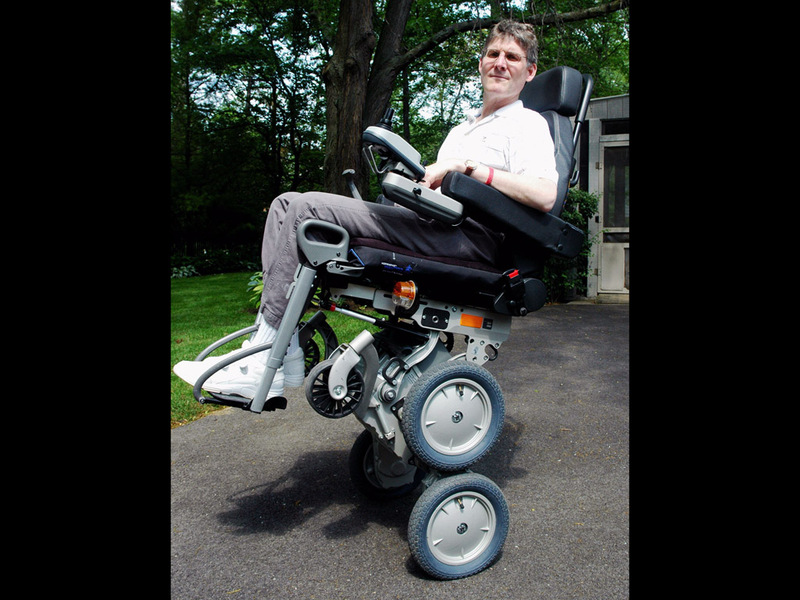 Equipped with wheels that rotate around each other to allow the robot to climb stairs. Gyros, accelerometers, and rotary encoders. 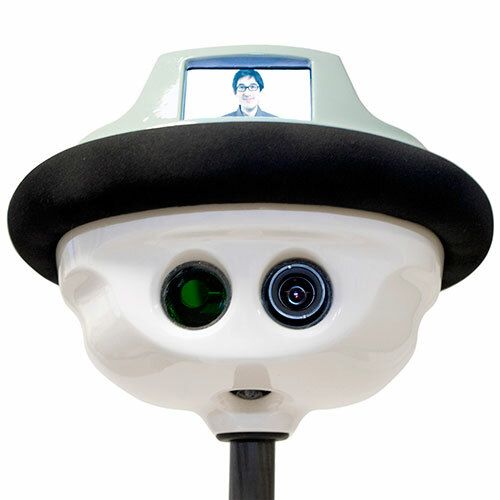 iBalance software for dynamic stabilization when iBot is in self-balancing mode. 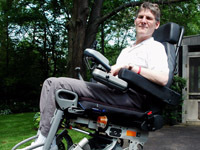 DEKA, founded by inventor and entrepreneur Dean Kamen, designed the iBot, which was first publicly announced in 1999. 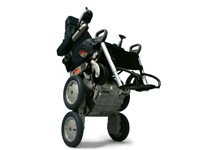 Johnson & Johnson's Independence Technology partnered with DEKA to license the technology and build and sell the iBot. In 2009, Independence announced that it was discontinuing production.